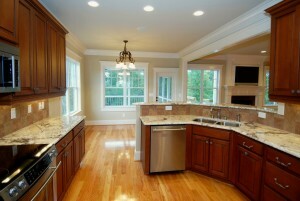 We are a full-service home and commercial renovation company. From kitchen remodeling, bathroom remodeling, flooring solutions, doors & windows, and even room additions, we’ve got all the bases covered. With over 50 years of combined experience, we offer our clients the sort of work ethic that money simply can’t provide – it’s what completely sets us apart. Your home is your castle and we treat it (and you) that way, whether it’s a 6,000 square feet or 1,000, it’s all the same to us. We make sure to protect your house as we work and we clean up when we’re done. Renovations can be stressful. And we know that. Our approach is simple, non-invasive and trustworthy. Whatever the job may be, we make sure to make the process painless: you’ll barely even know we are there. It’s one reason past clients have literally given us the keys to their homes. Take a look at all our services, view our portfolio, or reach out to us! We’d be happy to hear from you and answer any questions you have.